Greetings in the wonderful name of our Lord and Saviour, Jesus Christ. 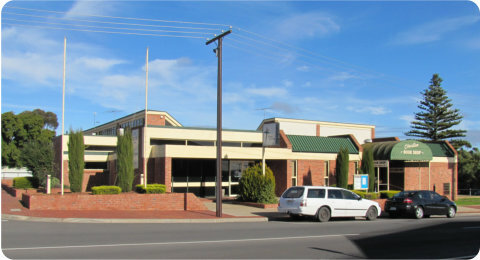 The Murray Bridge Church of Christ Inc. is a gathering of committed disciples of Jesus Christ. We seek to follow the teachings of Jesus, studying the Bible together and individually, and to worship him both in our private lives, and as a group of believers. We welcome visitors to our services, inviting fellow believers to join us in our weekly observance of the Lord’s Supper (Communion). You can learn more about our church by clicking here, or learn more about our ministries and activities by clicking on the links above. Keep right up-to-date with our new FREE church app.